Hello all… you must all be knowing about the APPLE’s I-pad, the one of its kind..!! Then better change your mind because that is not the fact. 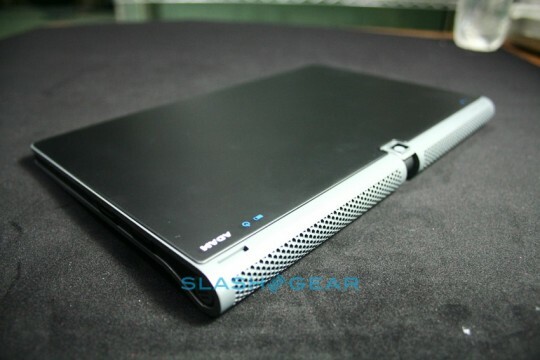 Therehas been a controversy that the I-pad said to be an innovation from a Chinese manufacturer. This has put Apple in a legal controverrsy and a set back to this product in the tech world. But hey… there is a yet another thing that has started itching to this brand.. so people hold your breath and keep fingers crossed as we are to come across a wonder in the world of gadgets.. yipee Its the new ADAM TABLET. The ADAM tablet is a result from a team of 6 genius techies from the IIT (India).The team has worked for the last three years and finally have come up with this stupenduous device that is to make the biggies in this field to look up with their their mouth wide open.The Adam has already made its presence at the Mobile World Congress in Barcelona. The company the team has formed is the Nation Ink at Hyderabad which now has a big team working over the final outcome and the additional enhancements. Lets wait and feel its heat as the completed tablet launches to the market. Lets look at some of its best valued features. 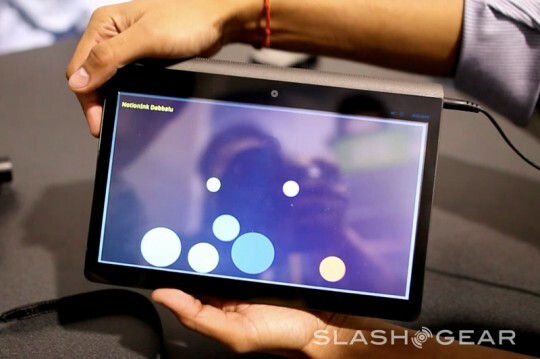 This is the first product that integrates 2 power saving components; “Nvidia’s Tegra 2 chip” and “PixelQi Screen”. 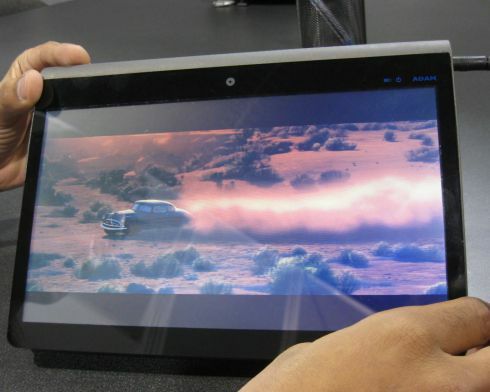 The chip provides an edge over the iPad with its ability to play full high definition videos and Flash on the web browser. It can offer the performance of a computer with the power consumption of a cellphone. The power consumption is just 250mW which is about 10 times less than an ordinary gadget of this kind. PixelQi Screen has a dual mode, with one mode operating as a normal LCD screen and the second mode claiming the clarity of texts even in bright sunlight. With the back light off, Nation Ink claims that it can increase battery life between charges by a factor of five. I am not yet done.. there are plenty to share on this most amazing amazing piece of work. Let me point to this most crazy feature. This has a back side mouse pointer pad. You must all be wondering about what exactly that means to. Its better you people have a look at this video and know what i am to say here. Hope this made your eyebrows raise… even i felt it at the first sight of this.. To know more keep surfing for “ADAMS TABLET”.